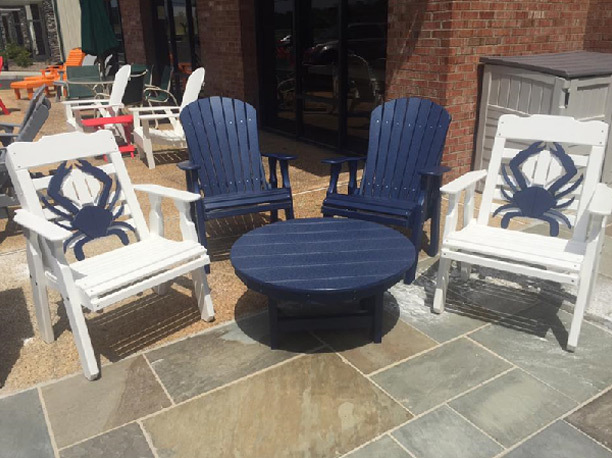 Patio Furniture | Hot Tubs in Maryland, D.C. and Virginia from Hot Tubs, Inc.
Now offering a wide variety of maintenance free polymer and stainless steel patio furniture. Furniture is built to last a lifetime and customers can choose from in stock items or personalize their own set. 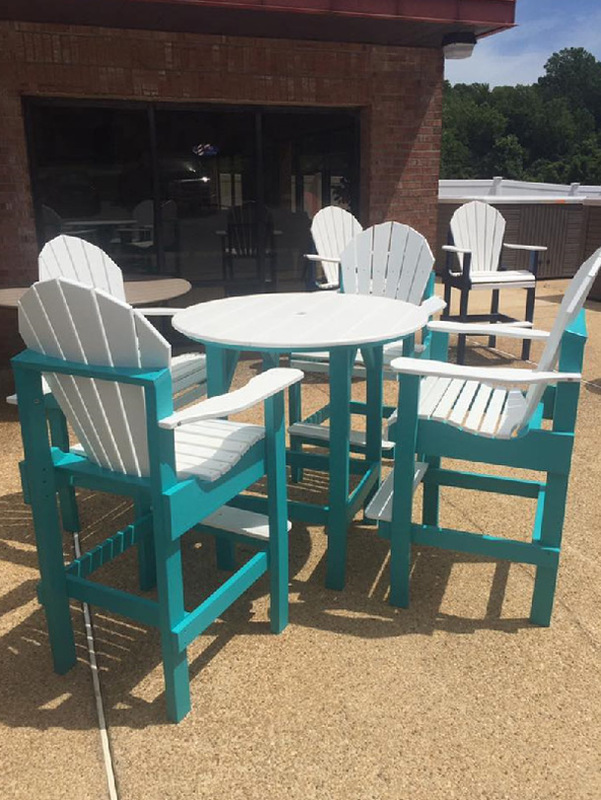 We have dining height sets, bar height sets, gliders, rockers, poolside chairs, chaise lounges, bar stools, benches, picnic tables and more!